• Endoscopic ear surgery (EES) have comparable outcomes of graft success compared to microscopic ear surgery (MES). 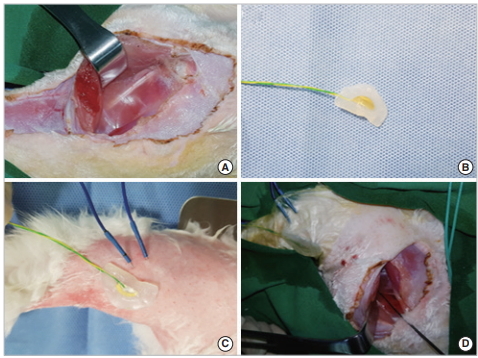 • EES significantly decreased canalplasty rate, wound complications, and operation time compared to MES did. • Patients receiving EES reported higher cosmetic satisfaction than patients receiving MES. 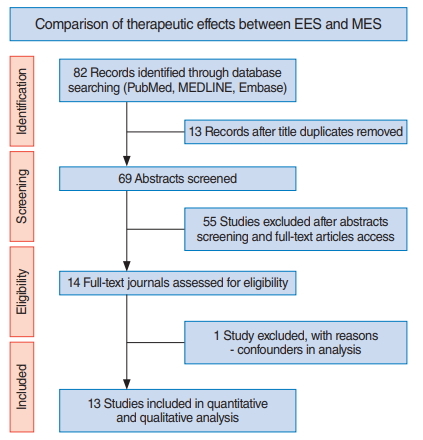 • Air-bone gap improved 2.02 dB less in EES than in MES; however, substantial heterogeneity and publication bias limited the integrity of this analysis. • Our results may affect decision-making and outcome prediction in cases of EES, but confirmation is needed to clarify potential bias. • Transcanal endoscopic ear surgery is useful for removing the attic cholesteatoma. • Hearing improvement and operation time is similar in microscopic and endoscopic surgeries. 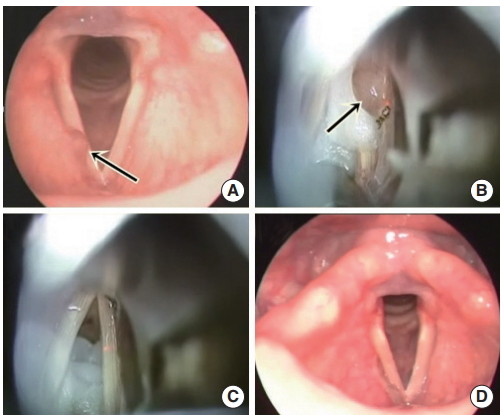 • Lempert II endaural incision is not needed in the endoscopic surgery. 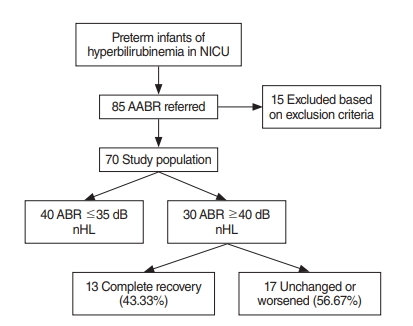 • Serial auditory brainstem response (ABR) testing can be a useful, noninvasive methods to evaluate early reversible bilirubin-induced hearing loss in preterm infants. • Unconjugated bilirubin is a better predictor than total serum bilirubin in preterm infants as evaluated by serial ABR. • Our results highlight the importance of early detection and careful counselling for bilirubin-induced hearing loss of the preterm infants. Sodium salicylate (SS)-induced ototoxicity elicits increased expression of N-methyl-D-aspartate receptor subunit 2B (GluN2B) in the inferior colliculus (IC). EGb 761, a standard form of Ginkgo biloba extract, decreases the GluN2B protein expression in the IC of SS-induced ototoxicity model based on Western blot. 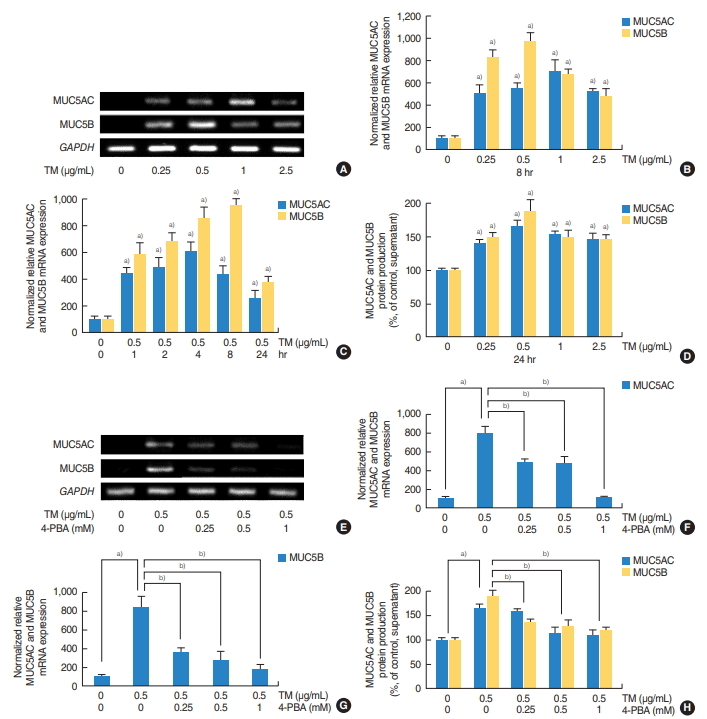 EGb 761 decreases the expression of immunoreactive GluN2B in the IC of SS-induced ototoxicity model based on immunohistochemistry. EGb 761 may play a role in regulating the GluN2B expression in the IC of the rat SS-induced ototoxicity model. • The incidence of inner ear anomalies was relatively high (23.0%) in patients with unilateral congenital aural atresia (CAA) combined with microtia. • Lateral semicircular canal (LSCC) dysplasia was the most common (16.4%) anomaly in patients with unilateral CAA combined with microtia. • The Jahrsdoerfer score would show a relationship with the presence of LSCC dysplasia in patients with unilateral CAA combined with microtia. (odds ratio, 0.66; P=0.004). • Endoplasmic reticulum (ER) stress induces the expression of MUC5AC and MUC5B in human nasal airway epithelial cells. • The expression of secretary mucins is induced by ER stress via multiple signaling mechanisms. • Apnea-hypopnea index (AHI) was the highest during rapid eye movement sleep. • AHI was significantly higher in the non-rapid eye movement sleep-dominant group. 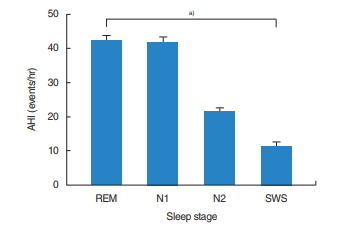 • Higher AHI was found during deep sleep in 16 of 234 patients (6.8%), differently from previous studies. Hizikia fusiformis reduced allergic symptom scores, infiltration of eosinophil, and hyperplasia of goblet cell. H. fusiformis reduced ovalbumin-specific immunoglobulin E formation. 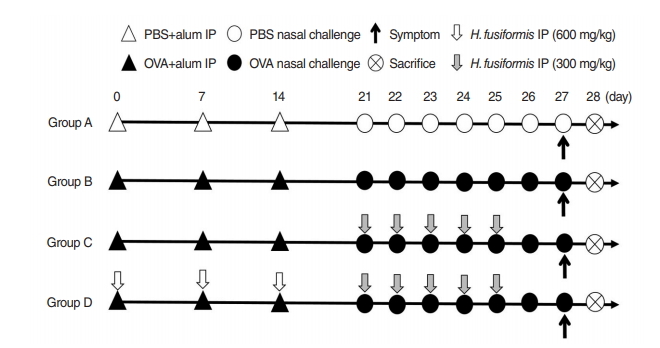 H. fusiformis reduced interleukin 13 production locally and systemically in allergic rhinitis mouse model. • Olfaction of patients with Parkinson disease was evaluated by smell identification test (Open Essence). • Discrepancy between visual analog test and Open Essence was found in patients with Parkinson disease. • Patients with Parkinson disease tended to select wrong alternatives in Open Essence. • A saccular cyst is a rare but potentially harmful condition that can lead to airway compromise or malignant transformation. • Saccular cysts can be mostly managed endoscopically using CO2 laser, without requiring an external approach. • The risk of nerve damage may occur due to false-negative or false-positive responses on conventional intraoperative neuromonitoring (IONM). • We developed a novel IONM system using a surface pressure sensor which is to measure the change of surface pressure using a piezo-electric effect instead of electromyography to detect muscle twitching. • The application of IONM using a surface pressure sensor during surgery is noninvasive, safe, and feasible. • Immunohistochemistry (IHC) has been used for the diagnosis of indeterminate results in thyroid nodules. 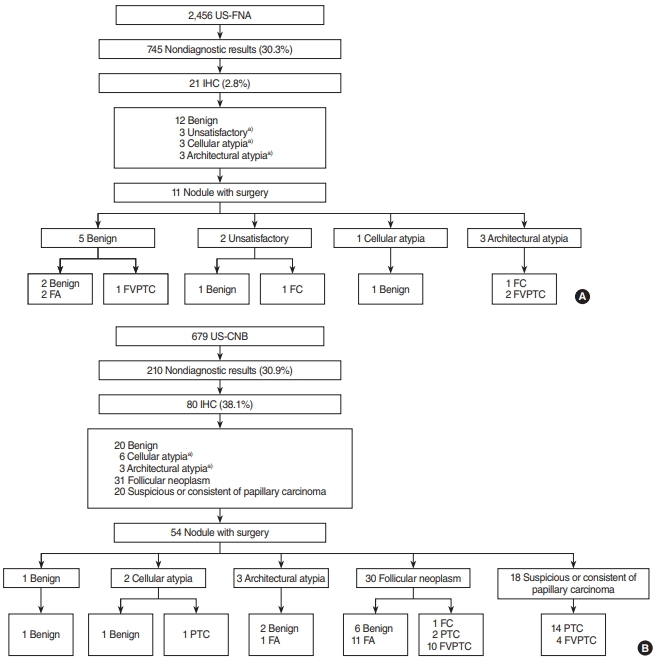 • Due to the greater tissue availability of core needle biopsy, the IHC staining procedure was more frequently performed with 3–4 simultaneous markers compared to fine needle aspiration. 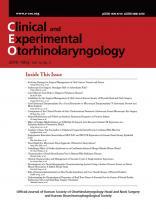 This archive contains links to the full-text of all issues of Clin Exp Otorhinolaryngol. Thank you for your continuing concerns and contributions to our journal. Our editorial board members have been trying to improve review process and quality of your submitted manuscripts, and to rapidly publish your accepted papers. As an effort to increase the impact of our journal, we decided to cordially invite the submission of papers including systematic review and meta-analysis for the current debates or hot issues on clinical and translational otorhinolaryngology and rapidly review and preferentially publish these papers. Additionally, we will offer rapid free publication without any open access fees. 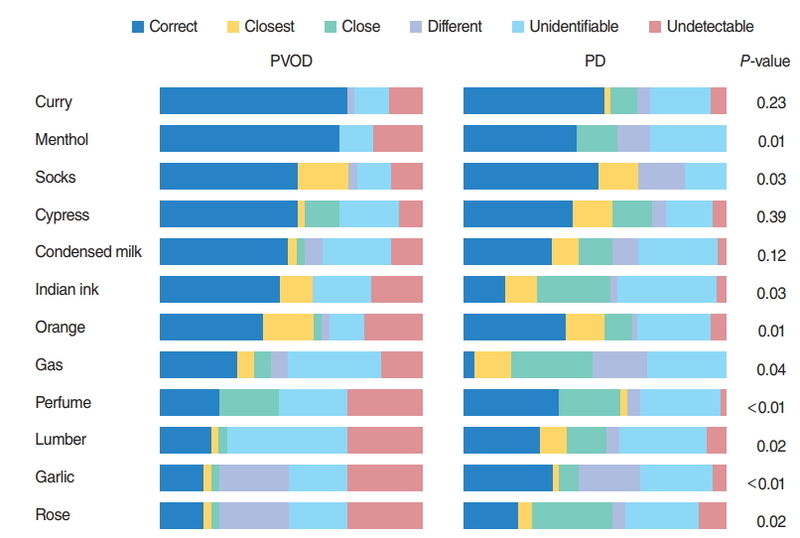 Here, we list up the titles of systematic review and meta-analysis that are currently issued and recommended by our editorial boards. Please see the recommended titles (linking): Otology, Rihinology, and Head-and-Neck. We will appreciate your active submission of systematic review and meta-analysis papers.